We look in the mirror and can easily see physical signs of aging, from changing color and thickness of our hair to the appearance of wrinkles and other skin spots. We often feel the impact of aging when we lift a heavy object or spend an afternoon hiking. Less obvious, though, are the changes happening to our physiology. As our metabolism, taste buds and the like change, our diet needs to undergo some changes too. For example, a child less than 1 year old needs 27 mg of calcium per pound of body weight, whereas a typical adult woman needs just about one-fourth of that. Our eating habits play a major role in how we age. Healthy eating habits lead to healthy aging, which is why we try to fill our plates with nutritious, wholesome food while limiting the amount of fat, salt and sugar that we consume. Did you know that your dietary requirements now are much different than they were just 10 years ago? Here are four diet changes that can help you stay healthy as you age. Once you hit 40 years old, your metabolism starts to slow down and continues to do so as you grow older. So, if you continue to consume the same number of calories that you did when you were younger, it will be easy to gain weight—especially for those who aren’t very physically active. Try these healthy and flavorful diets if you’re an older adult! Refining your palate is one of the joys of growing older. When we are born, we have more than 10,000 taste buds in our mouth. As we age, however, the number of taste buds that we have decreases, and those that remain become less sensitive as the nerves tend to wear out over time. Because of this, some older adults experience a decreased sense of taste. We tend to lose the sensitivity to salty and bitter tastes firsts, so we often over-salt our food. And we know that excessive salt can lead to high blood pressure, kidney disease and other serious illnesses. Try these tips to eat healthier! When we are young, staying hydrated takes little effort. We get thirsty, so we grab a glass or bottle of water to drink. Though we have all heard the recommendation to drink eight 8-ounce glasses of water daily, our daily needs can vary depending on physical activity, environment and health. And while water is considered the best and easiest source, we also get hydrated from drinking other liquids and eating fruits and vegetables. 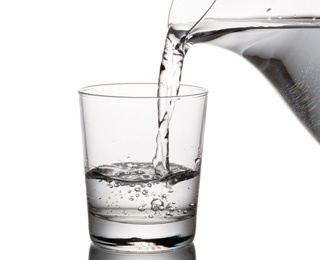 “Generally, if you drink enough fluid so that you rarely feel thirsty and your urine is colorless or light yellow – and measures about 6.3 cups (1.5 liters) or more a day if you were to keep track – your fluid intake is probably adequate. If you're concerned about your fluid intake or have health issues, check with your doctor or a registered dietitian,” the Mayo Clinic advises. Because of a myriad of factors, from changing digestion and chewing ability to medication side effects, we may want to supplement our diet with vitamins and other micronutrients as we grow older. Magnesium, which supports the immune system and heart. Kendal at Oberlin’s “Try It, You’ll Like It” stay offers you the opportunity to enjoy our healthy chef-prepared meals, just as if you lived here. Added perks are participating in fitness classes and community activities and meeting our educated, diverse, and engaging residents. Find out more and sign up here.